GeoDirectory, a plugin from the creators of GeoTheme, is the only Word press directory plugin that can scale millions of listings and withstand all heavy traffic that comes along with that. The developer’s idea was to create a plugin which allows any WordPress user, irrespective of the theme they have installed, to build a fully featured directory listings site. The GeoDirectory is easy-to-configure and use and it means in case you are building a directory website with WordPress, you are no longer forced to choose from the directory app themes so that you may gain access to all the premium directory features to build a professional site. The makers have released a theme which seamlessly integrates with this plugin. What are the Features of GeoDirectory? Here are some of the best features of GeoDirectory. It includes almost all the features you would find in a plugin which helps you create a professional directory site on WordPress. 100% compatibility – Works with any theme using the default HTML5 page structure. The plugin has 12 widgets which can be added to the sidebar to display useful information to visitors. The official themes are highly customizable and extendable. The core plugin is free, but there are premium add-ons to extend the functionality of the plugin. How to get started with GeoDirectory? All core features are available via the free plugin. It can be directly installed inside the WordPress dashboard by just searching for the WordPress.org plugin directory. Once it is installed and you activate it, you can access the GeoDirectory Control Panel through a new menu item that has been added. All add-ons can be installed by downloading them from the website and uploading them into the WordPress admin area, or to the server through FTP. The admin control panel ensures the plugin comes with lots of settings for configuring the layout and design of your site. We believe the best option is to become a paid member at $199/year and this membership helps you gain access to all premium themes and plugins and even any new ones which they create when you are a member. If you do not renew the membership, you lose access to all the premium support forums and to any updates on add-ons. Individual add-ons starting from $19 can be purchased. 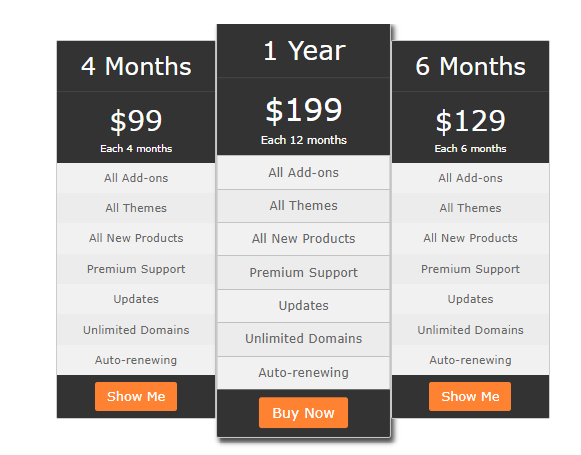 We love this plugin and think it’s a great alternative to the current premium directory themes available. But these plugins make you change your WordPress theme to tap their powerful features. However, with GeoDirectory, you can use your site’s existing theme or install a new one of your choice. The full add-ons amount to up to $150 and are comparable to some of the best directory themes out there. If you are looking for a plugin to build a directory site using WordPress, to list out places, events, businesses etc., then GeoDirectory is the right one for you.